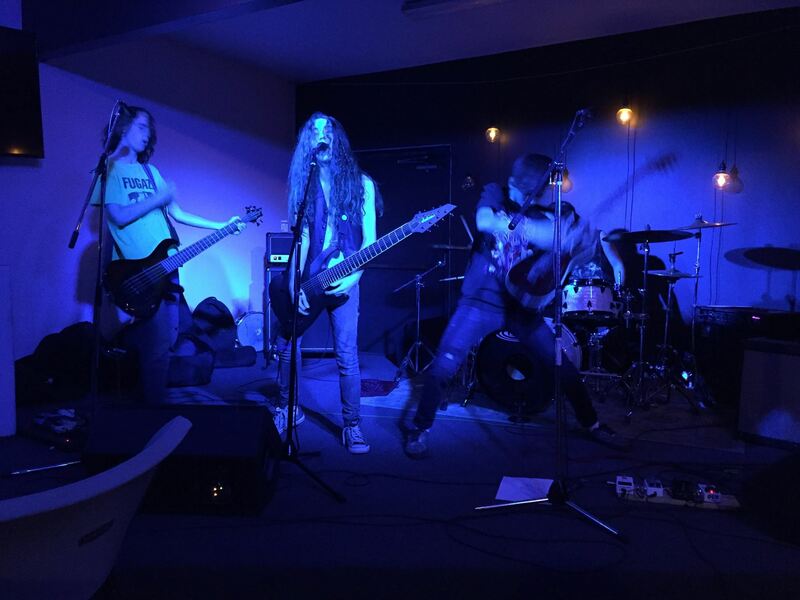 This entry was posted in Uncategorized and tagged band of the month, battle of the bands, blogging, contest, damned, diabology, metal, metal devastation radio, rock music, vote. Bookmark the permalink. I think I’ve been gone longer than 4 months so don’t feel bad Marisa. Glad you’re finding some fulfillment in freelance writing! Thanks Janey! I’ve missed you! Did you get a chance to vote? I am so proud. When facing a choice of high craft and money, you chose money. Is your Graduation picture still of file? Okay, enough with the wise cracks and you know, your’s is one of the few blogs I still read. Did you vote or not?? 😂 You are too funny, Marissa! It is simply wonderful that you are here right now! That’s all that matters and I will head over to vote, right away! Thank you Erika! I knew I could count on you!! They are totally in the lead! Can we vote daily? I love their name but some of the other names are a bit much, lol. Your rhymes are hilariously honest, to the point, and self-serving–just how I like my poetry! CAN YOU JUST POST HERE ONCE A MONTH NOW? Sheesh, withdrawal city! Thank you Stephanie! No, unfortunately you can only vote once in total (I should know, I’ve tried!) although you try on your cell phone and other computers. Once a month sounds like a good idea and I actually have a bit of a back stock of poetry I’ve been meaning to put up but just haven’t found the time. It’s nice to be missed….especially by such a prestigious writer as yourself! Done, and we’ve missed you around here. Thanks Craig. You’re too kind! I was also thinking about doing Upwork. Thanks a lot for telling me about it now. You’re welcome. For the most part, it doesn’t pay that well but it’s good for supplemental income. There are some high paying jobs on there though. If you decide to do it, I can send you some referrals. Hey, did you vote for my kid’s band? If you could just refer me to the high paying jobs, that would be great. I’m lazy and need to have them pay lots so I can do less. Glad you’re back! I just voted. Hope his band wins. Always great to hear from you Patricia! Thank you for voting! woohoo! A status update AND a poem! I could never be bored with you! Thank you Joanne! Thanks for your vote! Always nice to hear from you. Yes, Upwork is good but most jobs aren’t that high paying. It’s good for supplemental income. I was so excited to see you pop up in my reader! Seriously! Looks like your son’s band are set to win. This was your diabolical plan?! Ha! Done! Voted already! And they are winning (looks like by a landslide!) wooohooo! Missed you, by the way! I missed you too! Hopefully I can be on here a bit more. Thanks for voting! I will vote, Marissa! Good luck to the youngster. I hope they win. I figured you were just busy with your music stuff. It is very difficult to have more than one creative endeavor without one of them suffering. A senseless hack?….you are so funny! Thank you so much L.T. Yes, that’s me for sure, ha, ha! Voted and will vote until the end.. if you showed up once a year (twice during leap years) it would still be cool. Got to pay those bills! Take care! Thanks Syl! I knew I could count on you! I do have a backlog of stuff so may start publishing more often! You’re welcome, Marissa! It would be most welcomed! Ah, Colleen! You have gone above and beyond! LOL. Keep it real. Voted. Glad you’re rakin’ in the moola! I appreciate your keeping up with the reading. Thanks so much! I am doing my best to keep on top of it! By the way, if you get a chance to vote, would truly appreciate it! I debated about waiting until Friday the 13th to comment but really, Marissa! Their band is the Best! Thank you so much Robin! My son is very happy! Let us know if their band wins!! They seemed far ahead when I checked, Marissa. Go team/band Diabology!! First things first – voted! And good to see you back! As I can see from the comments, you’ve been missed by many! Thanks so much….on all counts! Thank you so much Amy! Yes, I’m trying to keep it up! And I am glad you’re back. Who else is going to make me laugh. Unless it’s Greg and Miss Menopause. I’m sure there are others out there but always nice to hear…and thank you for voting! I cast my vote for Diabology. Good luck! Marissa – wow – you have such a great approach in the mentioned blog, this is very enjoyable and great principles.. Thank you Olga! Every vote counts! Money is a good thing! Merry Christmas to the Bergen clan, Marissa!